Finnish Gauntlets: Photos 14, 15, 24 and 25. Photo Gauntlet 02: Gloster Gauntlet Mk. II K7796 of No. 46 Squadron. K7796 was among the first Gauntlets allocated and was chosen by the CO, S/L P.R. Barwell, to become his mount. Photo Gauntlet 03: Gloster Gauntlet Mk. II K5359 of No. 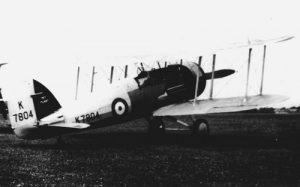 17 Squadron was delivered to the squadron in August 1936. 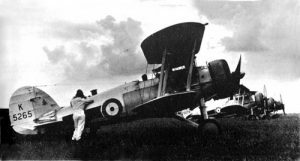 Its career lasted until on 8 May 1939 when it stalled on landing and hit the ground at Kenley. Photo Gauntlet 04: Gloster Gauntlet Mk. II K5344 of No. 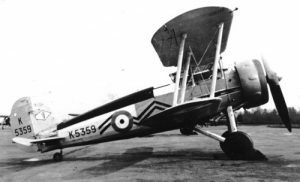 17 Squadron was lost in an air collision on 23 November 1937 with another Gauntlet, K5348, from the same unit. Photo Gauntlet 05: Gloster Gauntlet Mk. 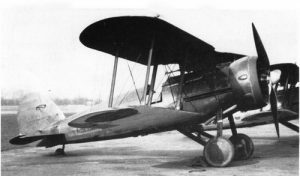 II K5335 of No. 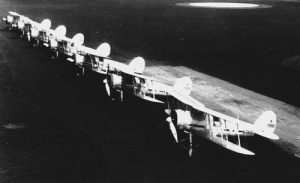 25 Group Communication Flight in 1938. Photo Gauntlet 06: Gloster Gauntlet Mk. II K5296 of No. 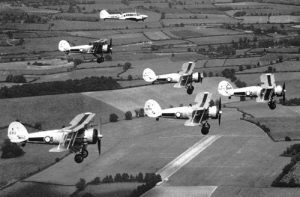 56 Squadron in flight. Photo Gauntlet 07: Gloster Gauntlet Mk. II K5265 of No. 111 Squadron. Photo Gauntlet 08: Gloster Gauntlet Mk. I K4092 of No. 19 Squadron. 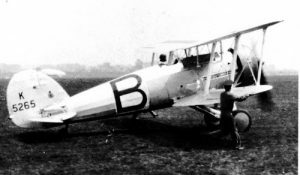 This aircraft was damaged in an accident in November 1935 and was eventually struck off charge the following month with 114.35 hours of flight. Photo Gauntlet 09: A line-up of Gloster Gauntlets of No. 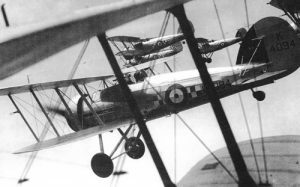 19 Squadron in May 1935. No. 19 Squadron was the first squadron to receive Gauntlets. Photo Gauntlet 10: Gloster Gauntlet Mk. 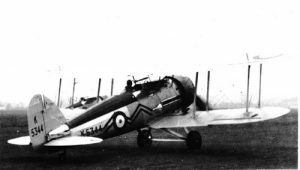 II K7804 was delivered to the Met Flight at Duxford in September 1936. The inscription ‘MET FLIGHT’ can be seen painted on the rudder. Photo Gauntlet 11: Gloster Gauntlet Mk. 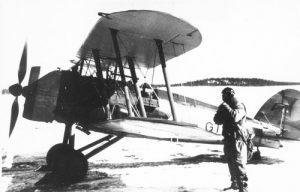 II K7862 of No. 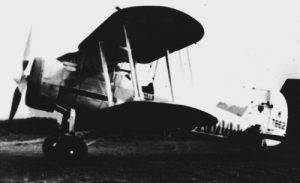 74 Squadron, which converted from Demon in April 1937. Photo Gauntlet 12: A line-up of Gloster Gauntlets of No. 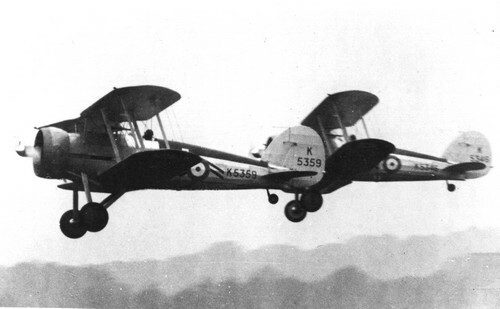 151 Squadron in April 1937. K7890, the penultimate Gauntlet, was lost in accident on 2 January 1939. 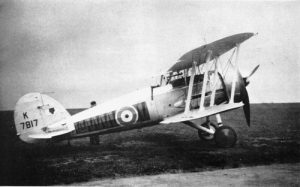 Photo Gauntlet 13: During the Munich Crisis, the RAF began to camouflage its aircraft. This Gauntlet received therefore a new paint, but the serial has been overpainted as well. 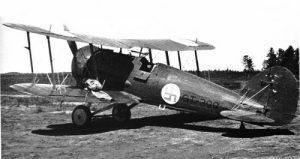 Photo (Finnish) Gauntlet 14: Gloster Gauntlet GT-416 seen in 1940 while in servince with the training unit T-LLv 35. It was withdrawn from use in February 1945 with 353.5 hours. Photo (Finnish) Gauntlet 15: Gloster Gauntlet GT-400 (formely K5271) while in servie with the Finnish training unit T-LLv17 in 1944. This Gauntlet was withdrawn from use in February 1945 onlt and flew 133.6 hours under Finnish roundels. Photo Gauntlet 16: Formation of five No. 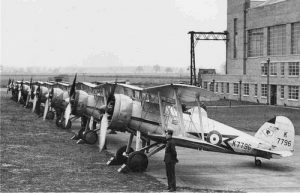 111 Sqn Gaunttlets in 1937 a while before the loss of K5312 in June the same year. Photo Gauntlet 17: Gloster Gauntlet Mk. II K5317 of No. 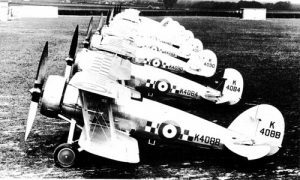 46 Squadron in 1936. 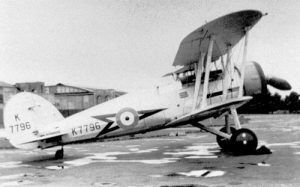 K5317 ended its career as an instructional airframe as 1622M in August 1939. Photo Gauntlet 18: After the Munich Crisis, the Gauntlets went into camouflage. This one has still its serial visible, K5289 serving with No. 17 Squadron at that time. Photo Gauntlet 19: Close-up photograph of Gloster Gauntlet Mk. I K4094 of No. 19 Squadron. Photo Gauntlet 20: formation of Gloster Gauntlets of No. 213, reformed on the type in September 1936. Can be seen K7810, K7814 and K7840 in flight. 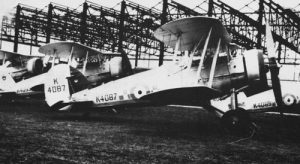 Both K7810 and K7840 would be lost in accident with a couple of weeks in summer 1938. Photo Gauntlet 21: Gloster Gauntlet Mk. 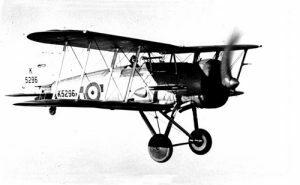 I K4087 was among the first Gauntlets delivered to the RAF and was issued to No. 19 Squadron in March 1935. It was destroyed in an accident in December 1936. Photo Gauntlet 22: Gloster Gauntlet K7817 was issued to No. 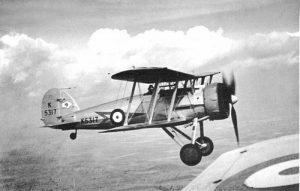 74 Squadron in June 1937. 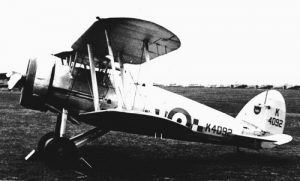 After than less of two years of service, it was withdrawn from use in February 1939 and became an instructional airframe in June. 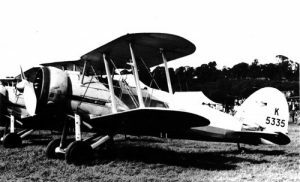 Photo Gauntlet 23: Gloster Gauntlet Mk. II K5265 was delivered direct from factory to No. 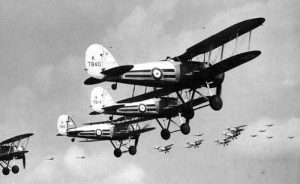 111 Squadron in March 1936. Later on, it was passed to Nos. 79, 601 Sqns. At the end of its career, it was serving with No. 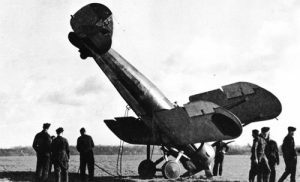 430 Flight and was wrecked in an accident on 8 February 1941 in the Middle East. Photo (Finnish) Gauntlet 24: Gloster Gauntlet GT-399 seen during the autumne 1940. It was serving with LLv30 at that time. It was struck of charge in January 1950 with 452.2 hours to its airframe. 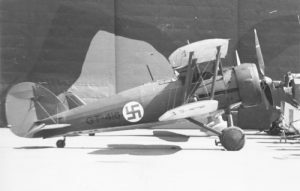 Photo (Finnish) Gauntlet 25: Gloster Gauntlet GT-414 of LeSK in 1943. Like for GT-399, it was struck of charge in January 1950 and had flown 521.6 hours. This entry was posted on April 1, 2015 by Phil Listemann.